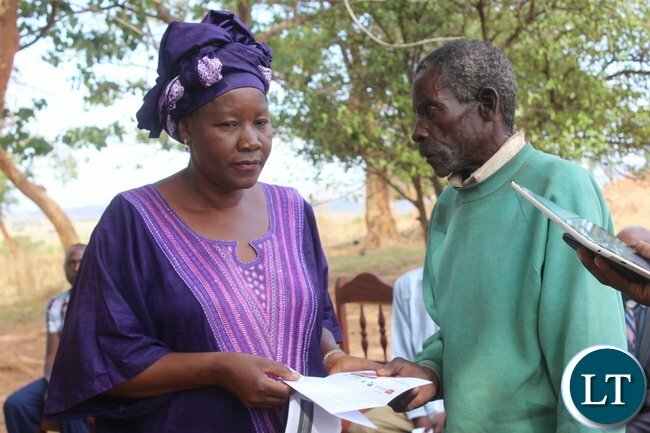 FORUM for Democratic Development (FDD) leader Edith Nawakwi has urged farmers to take advantage of the looming maize shortage in the region to grow more maize for export. Ms Nawakwi said local farmers could earn more money by expanding their maize production, because the domestic and regional markets were ready for Zambian maize products. She said that the expected poor crop performance in many neighbouring countries would result in further demand for the commodity, which called for small-scale and commercial farmers to consider planting more maize. Ms Nawakwi said this when she featured on a Muvi Television programme dubbed ‘The Assignment’ on Sunday. “Growing the agriculture sector is the most viable way of ending rural poverty because most rural households are engaged in some form of agricultural activities,” Ms Nawakwi said.She said increased maize production would also result in stable and reduced Mealie meal prices. The FDD president urged members of Parliament in drought-prone areas to device alternative water sources such as sinking boreholes to help farmers grow maize and pasture for animals. Ms Nawakwi said poor rainfall and adverse weather conditions did not mean God had forsaken Zambia but called for people to be innovative and find solutions to the challenges. Meanwhile, Ms Nawakwi said that the defection of Mulenga Sata to the opposition United Party for National Development (UPND) poses a threat to national security. She said this was because Mr Sata had recently served as State House minister who was privy to classified State meetings and it was not known what he could do with the information he had. Ms Nawakwi said it would be difficult for the UPND to fight corruption because the party had embraced corrupt people. She urged voters not to be deceived by politicians who spoke the loudest but to scrutinise every candidate contesting the 2016 general elections in order for them to make informed decisions. Small scale millers on the Copperbelt have increased prices of maize bran by over 100 per cent due to the increased cost of production. Maize bran is a by- product of maize mainly used as an alternative animal feed by most livestock farmers in the country. 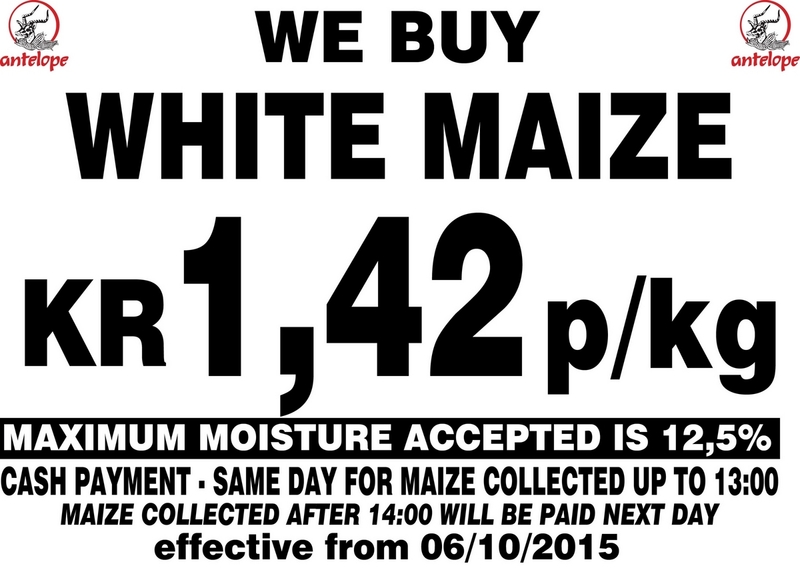 According to the Zambia National Farmers Union (ZNFU) statement on their website, the price of maize bran has been increased from K15 to K40 for a 50 Kilogramme bag. Livestock farmers have however bemoaned the increased price of maize bran which would increase the cost of production further. "The ever-escalating cost of livestock feed has become a source of concern mainly among poultry and dairy farmers on the Copperbelt with many considering to halt production. The cost of production has become very high due to increased feed prices which now range between K230 to K300 per 50Kg bag," read the statement. The farmers have urged Government to engage millers to consider adjusting the prices downwards, since the main ingredient which is maize, in feed formulation, was locally sourced. By STEVEN ZANDE -TWENTY-EIGHT trucks, each laden with 1,200 bags of maize worth US$270,000, have been intercepted and are marooned at Mwami Border in Eastern Province.The trucks that did not have export permits have been marooned for three weeks. 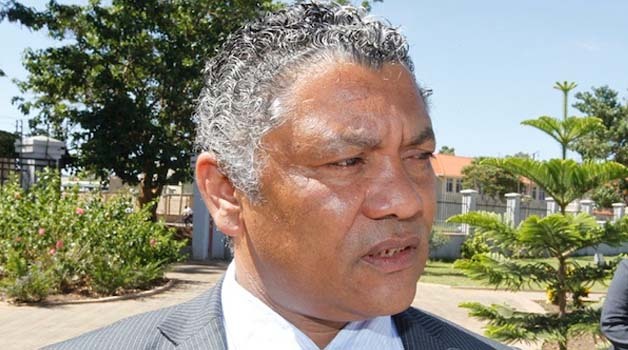 The development was brought to light yesterday when Agriculture Minister Given Lubinda visited the border post after being alerted by the Zambia Revenue Authority (ZRA) officials.The border’s station manager Rector Muhau said the trucks belonging to a company known as NWK Commodities were impounded after failure by the drivers to produce valid documentation to allow them transport the commodity across to Malawi.He said last year, Government classified maize as a controlled commodity, meaning any export of the commodity had to be accompanied by an export permit that was given by the Ministry of Agriculture.Mr Lubinda said it was unfortunate that, while Government provided maize to millers for local consumption, some millers were exporting some of that maize.He said that Government would not allow illegal maize and mealie-meal exports at the expense of the Zambian people.Mr Lubinda said that any miller found exporting the commodity to neighboring countries risked having their contract terminated and faced a two-year blacklist.“We don’t want to see the price of mealie-meal go beyond the reach of Zambians because people are exporting the commodity to neighboring countries at exorbitant prices,” he said.The team, which comprised ZRA boss Berlin Msiska, Food Reserve Agency (FRA) chief executive officer, Chola Kafwabulula and other Government officials also inspected a warehouse licensed under cement trade but packed with more than 400 bags of the Champion brand mealie-meal.Documentation, which was recovered after the owner failed to show up when he was summoned, indicated that the maize had already been sold in Malawian Kwacha and was just awaiting transportation into Malawi.Mr Lubinda instructed the Eastern Province administrative structures through Permanent Secretary Chanda Kasolo to ensure that the impounded maize did not leave the border until investigations were concluded.He said that it was unacceptable that mealie-meal from Lusaka could be transported to Mwami when Petauke, Chipata and Katete, were among other places that were experiencing a shortage of the commodity.Mr Lubinda said Cabinet would today table the matter to determine if there was need to readjust the policy governing maize export.Paramount Chief Mpezeni of the Ngoni speaking people said Government should ban the export of maize by some traders who were in the practice of exporting the commodity at the expense of the local population. THE current food deficit the Southern Africa region is facing has resulted into the smuggling of maize from Zambia into some neighbouring countries by some unscrupulous individuals. Win & Carry Promotion on Sun Fm 88,5 !!! Promotion for the Sun FM Anniversary give aways, comes alive from 17th October to 31st October, 2015 !!! 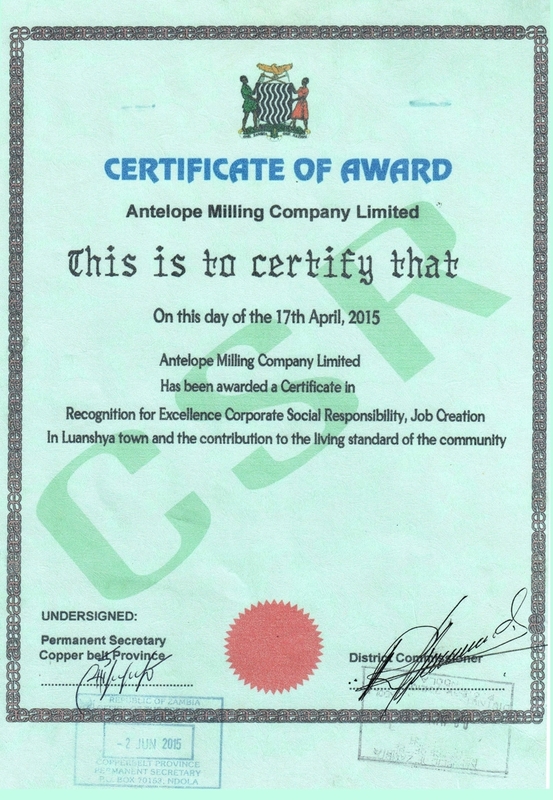 Win 6 bags of Antelope Mealie Meal every day till 31st. Its a 15-day give away madness !!! All Copperbelt Provinces including Kapiri & Kabwe can participate! Are you ready to win? Tune in to Sun Fm 88,5 ! Antelope Products now at New Game Store in Mukuba Mall - Kitwe!